Packing clothes for Jamaica vacation can be trying. Consider making a packing list and then sticking to it. 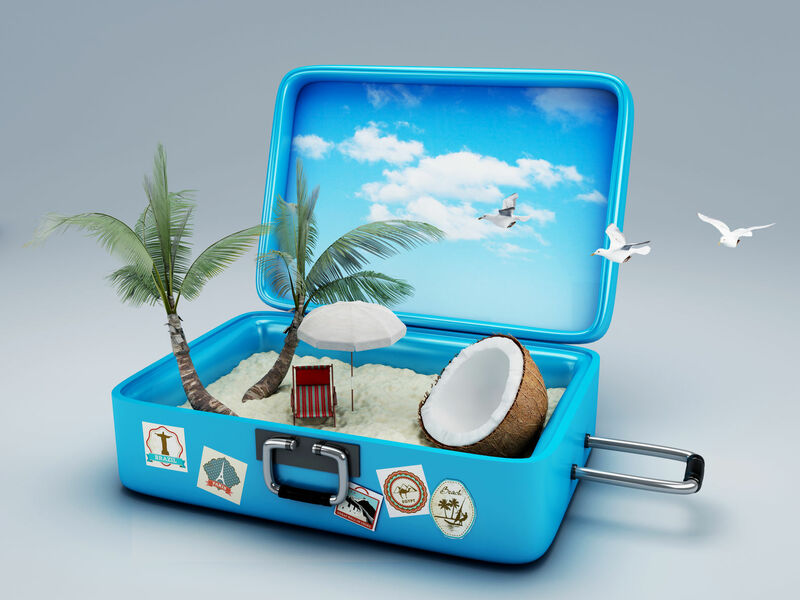 Weather, itinerary, travel companions all affect whats being packed into that valuable luggage space. Still there are some vacation items thats really not necessary. So lets streamline your suitcase. There are obvious packing no-nos like oversize liquids, superfluous dress, pants, shoes, leaky cosmetic and of course items that might not make it past security. Still we try. So here are some items we think should be left at home. Jamaica vacations are usually lots of partying, beach activities, some adventure or just laying around. So consider your itinerary before packing your pearls, formal wear and suits. If there's going to be a dressy event then pack for that one affair and leave the rest behind. Think of outfits, mismatched items that complement each other, that can go together without thought along with some accessories. Neutral colors and stuff like tan shoes or belt are some ideas. Bathing suit though small do take up space. Consider the number of days you'll be on vacation and bring along half that amount of bathing suits. One can dry while you wear the other. A bathing suit can easily be washed in your hotel sink with cold water and mild soap. Then hang and allow to air dry. Never twist or wring your bathing suit it might damage the fibers. Try not to pack too much athletic wear, especially if you are not a dedicated exerciser. Like too much running shorts, more than two athletic shoes - you might only need one for hiking and another for adventure. Whether a girl's weekend, or a vacation with your spouse, or children there are items you can share. Items you can share are hair dryer, sun-screen, shampoos, and other toiletries. I am a reader and to be honest I still prefer books. Because you'll definitely need something to read on the beach or by the pool. So pack a lightweight paperback instead of a hardcover, download e-books or an audiobook version. We don't want to lose our high techie stuff, they are to replace. So don't pack anything you might not be able to use. Especially if on a past trip they were just dead weight. Carrying your prescriptions is a must and a small amount of stuff like ibuprofen and aspirin is normal. Remember most places have a drugstore. Or your hotel has a convenient store right on the property that will be able to fill your need. So making a packing list is best but remember to stick to it. When making that list look ahead and mentally go over your planned activities while on vacation and make sure to have lots of fun.